Here you go Star Wars fans, the ultimate guide to finding the R2-D2 Droid 2 launch party near you. We’ve covered as many of the big places as we can, but we’ll be updating throughout the day as we get more info. And let us know in the comments if you find anything else out! Costume contest starts at 9:30PM, 9/29. 2 R2-D2 DROID 2s to give away. 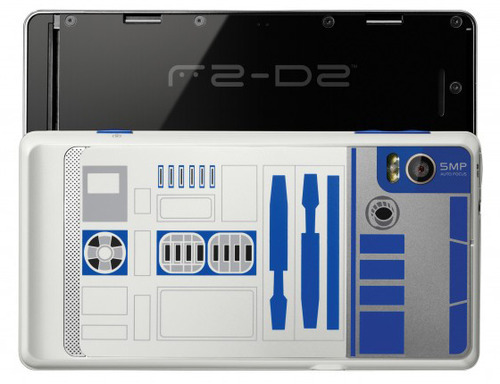 10 R2-D2 DROID 2s to give away. Store opens at Midnight, 9/29. Party starts at 9PM, 9/29. 1 R2-D2 DROID 2 to give away. Party starts at 10AM, will include Storm Troopers. Buy any Droid phone, get a free R2-D2 t-shirt and poster. Store opens at 6AM, 9/30. Costume contest starts at 7PM, 9/29. Computers on hand for midnight online orders. Store opens at 9AM, 9/30. Store opens at 10AM, 9/30. Buy any Droid, get a free R2-D2 t-shirt and poster. Wednesday Poll: Rooted or Non-Rooted? Pandora Receives Update, Fixes Audio Quality Issue from Froyo?